We are nearly at the end of January, and we have all managed to put the festive period and the old year behind us. This is the time of year for NBA teams to get serious and every game has a great importance in the final-shakedown. The NBA offered a busy-line up on Sunday and there were more than enough games to keep fans excited and interested. The Miami Heat picked up a big win in Chicago, defeating the Bulls by a score of 84-96. The Pacers were also winners on the road, defeating the Magic in Orlando by a score of 99-106. There was an excellent match in New Orleans with the Pelicans holding off the Mavericks by a score of 109-106. The Pistons nearly got another fantastic win to add to their recent record but in the end, Toronto were too strong for them with the Raptors winning by a score of 114-110. The Celtics were also close to a great away day win but in the end, the Golden State Warriors had too much fire-power, with the home team winning 114-111. The Rockets blasted the Lakers in Los Angeles, winning by a score of 87-99. The Cavaliers maintained their good form of late, defeating the Thunder at home by a score of 108-98. The Hawks also maintained their great form with a 112-100 home win against the Timberwolves. 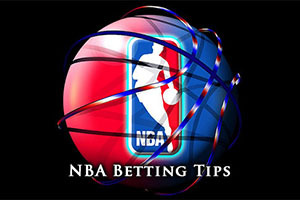 One of the big results of the night came from the Los Angeles Clippers, who went to Phoenix and won 100-120. The Spurs held on at home against the Bucks to win 101-95 and the Wizards grabbed a narrow away win in Denver, with the Nuggets losing 115-117. Those games brought last week’s NBA card to a great close, but there is no time to waste as we go again with a number of excellent games on Monday. This may well be a mi-matched game in Brooklyn with the Trail Blazers holding a 32-13 record, which includes a 12-8 record away from home. 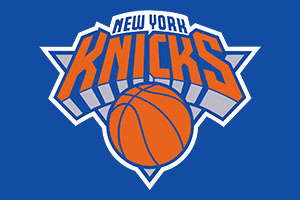 They face the Nets who hold an 18-26 record so far this season and this includes an 8-14 record at home. With respect to average points scored, the Trail Blazers have a healthy lead, standing at 103.0 while the Nets are at 95.0. Things are a lot closer on average points allowed though as the Trail Blazers are on 97.2 while the Nets are on 98.7. For all the statistics shows that the Trail Blazers are the team to watch though, they only have a winning streak of 1 and their record in their last 10 games stands at 5-5. Mind you, the Nets have lost two on the bounce and they hold a 2-8 record in their last 10 games. On Saturday against Washington, LaMarcus Aldridge grabbed 26 points in the 103-96 win. Also on Saturday, the Nets were struggling in Utah 108-73, losing to the Jazz. The Nets don’t have any major injury concerns coming into this game but the Trail Blazers have a few things to look out for. Joel Freeland and Robin Lopez may well be out while Aldridge, Nicolas Batum and Chris Kaman are being monitored on a daily basis. Taking the Portland side, even with a -7 handicap, at odds of 1.90, is likely to be a sound bet for most people. Bet Now! The Denver Nuggets hold an 18-26 record so far this campaign and they have only won 6 games on the road, turning in a 6-14 record away from Denver. They will have a tough test against the Clippers, who hold a 30-14 record, which includes a 19-7 record at home. With respect to average points scored and allowed, the Clippers hold a good lead over Denver. They have scored 107.4 and allowed 100.1 in comparison to the Nuggets, who have scored 101.9 and allowed 104.5. With respect to current streaks, the Nuggets have lost their last 6 games while the Clippers have won their last 4. With respect to the last 10 games, the Nuggets hold a 4-6 record (which means that they had won four on the trot before their current slump) and the Clippers hold a 7-3 record. The Los Angeles side don’t have any injury worries for this one but the Nuggets have a host of players that they are looking at. Kenneth Faried, Danilo Gallinari, Jusuf Nurkic, JaVale McGee and Ty Lawson are all players being closely monitored heading into this game. You have to take the Clippers as big favourites for this game and they should be able to win even with a negative handicap so keep an eye out for attractive odds of that manner on Monday night. Bet Now! In saying that, the Kings have lost 6 in a row (with a 2-8 record in their last 10), while the Knicks lost their last game, and have a 3-7 record in their last 10, so it isn’t as though all the form indicates that the Kings will run away with it. With respect to average points allowed and scored, there are some differences on offer too. The Kings have scored a lot more points, averaging 101.7 compared to 92.8 of the Knicks but for average points allowed, the Knicks have given up 100.8 in comparison to the 104.3 the Kings have given up. The Knicks are also struggling with injuries and have a number of players that need to be looked after with respect to this match. Cleanthony Early, Jose Calderon, Andrea Bargnani, Carmelo Anthony and Amar’e Stoudemire are all being monitored closely in the build-up to this game. It is likely to be a tight one that could go either way, and if you can find the Knicks with a negative handicap, you should jump all over it. Bet Now!